This week the currency pair USD/CAD has been trading in the range of 50 points. Investors are waiting for the key statistic data on GDP in the US and Canada for Q1. It is expected that both indices will be negative. As per preliminary forecast, American GDP can decline by 0.2%, while Canadian GDP will grow only by 1.8%, which is below the previous value. The currency pair USD/СHF continues to trade in the upward channel. Today the pair has reached three-month highs at the level of 0.8982. Even strong data on Swiss GDP for Q1 was not able to halt the rise in quotes. On the annual basis this index has reached the level of 2.0%, which was above experts’ expectations. Last week European currency continued to decline, breaking out several key support levels. Weakening in the European currency is associated with low inflation and poor macro-economic statistics. In addition, election to the European parliament also increased pressure on the pair. Yesterday’s British data has chilled out investors’ enthusiasm. British GDP has remained at the previous level and the Pound started to decline slowly against the USD. On the other hand, the American currency is supported by the plan of the US Fed to completely abandon soft monetary policy. European currency continues to trade in the downtrend. Yesterday Euro has broken down important support level of 0/8 Murray (1.3672) on the daily chart but failed to maintain at this level. At the moment the pair is trading at the level of 1.3683. Technical correction is possible, which may be followed by the rollback to the level of 1.3733. Yesterday the pair XAU/USD has been able to overcome resistance level of 1300.00 and reach the highs at 1305.00. However the pair was corrected down due to the strengthening of the US stocks. Investors are usually turn to the safe haven instruments when economic climate is unstable, and go back to highly volatile pairs as soon as there are signs of recovery. The British Pound failed to break down resistance level of 1.6841 (2/8 Murray level) and corrected to the level of 1.6820. If the level of 1.6841 is not broken down in the near future, the pair is likely to go down to the level of 1.6724 (1/8 Murray). 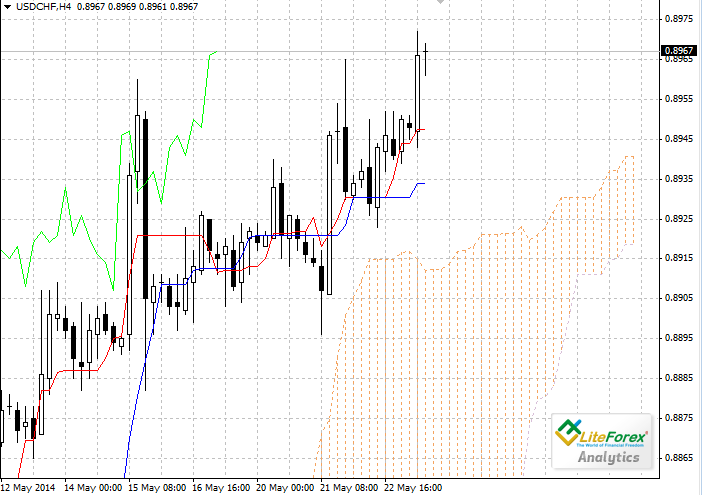 On Thursday the currency pair EUR/USD traded with high volatility. Following the release of poor data on GDP in Eurozone, the price fell to the level of 1.3647. 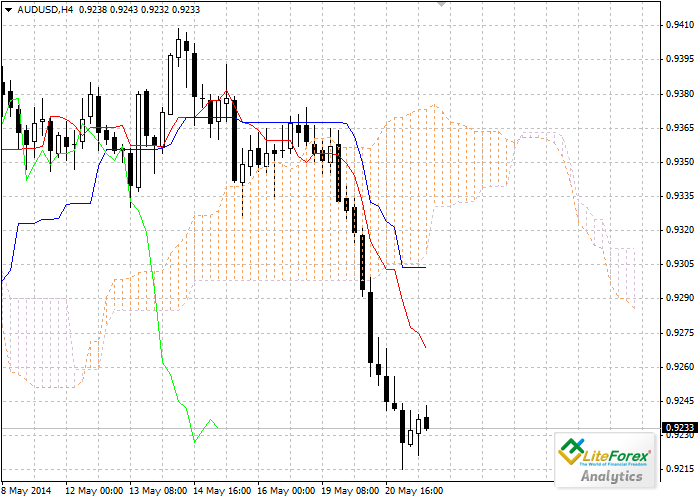 However, in the afternoon the pair has almost regained losses, returning to the level of 1.3715 (middle line of Bollinger bands), after the release of negative data on the US industrial production.